The shutter of a camera does not open instantly when activated by the shutter button. There is a delay. The term shutter lag is often used to describe the delay between pushing the shutter button (release) and the point at which the photo is recorded (at shutter-closed position). Lag time (Shutter delay + shutter lag). View camera; Bellows camera: Direct exposure of ‘plate’ by button release or lever. Little or no lag. Early mechanical large format cameras: Mechanical trigger; short delay; direct activation by button or lever set up. Short lag time. Mechanical SLR: Mechanical trigger; started by button push; gear/lever system; reflex mirror lifts before shutter opens. Medium lag time. (Definition: Single Lens Reflex Camera; SLR;). Electronic SLR (film): No auto-focus; internal light meter; electronic activation of shutter. Medium lag time plus meter reading time. Digital Single Lens Reflex Camera (Definition: DSLR;): Auto-focus; internal light meter; digital sensor activation; shutter activation. Long total lag time. Comparing different cameras from photo-history shows how lag times have built up. The great complexity of cameras has caused this lag as new steps have been put into shutter control. Modern DSLRs have a long overall lag time as a result. In addition to the other lag times one big lag time may prolong the shutter process more than any other. The flash takes time to charge up ready to fire. This can take a long time compared to the other lag times. It is a part of the exposure process. But, once the flash is set the charge-up can go on while the exposure calculations are being done. Even so, the use of flash can extend the total lag time beyond all the other lag times. Be aware, use of flash can significantly delay the shot overall. Thinking time between seeing a subject and the finger push on the button. Auto-focus – time taken to get a focus. Aperture – time used for camera to calculate/set aperture size. Meter lag – time taken to establish an exposure time from light reading. Some people consider thinking time outside the definition. That is true when you observe through a viewfinder. In most cases that does not impact the exposure*. More LCD displays and electronic viewfinder displays are being used. This means the lag time for LCD display comes first. The camera display is ahead of your thinking step. In this case the think-to-button-push time impacts on the exposure time. It’s likely more mirrorless and LCD cameras will come into use. So we should at least be aware of the impact on shutter delay. * [Note: Not true when mirror lock-up is in use. You cannot see through the DSLR viewfinder when the mirror is up]. Digital sensor charging ready for data capture as shutter opens. After the data is taken from the sensor it is transferred to a buffer where it is temporarily stored. This clears the sensor for ready for the next exposure. It is at this point the exposure is complete. The lag time is the shutter delay plus the shutter lag. These two can add up to long lag times. This time may be as long as a second after the shutter button is pushed. For many shots this is not important. For action shots and time-critical shots it is crucial to the success of the shot. Total lag time should be taken into account when doing ‘action’ shots. Failure to account for the lag time may mean missing the shot. Modern technology has reduced charging times for camera chips. It has also reduced time for data capture and storage. Motors, meters and calculation times have also been reduced. More expensive cameras carry the latest developments. They tend to be faster as a result. For example top level pro-cameras can take six to twelve shots per second (in 2013). They also have shorter overall lag times for one shot. Some entry-level point-and-shoot cameras may have a total lag time of more than a second. This is especially true of early models. Design and timing of the whole ‘shutter delay’/’shutter lag’ system is important. Some of these lag times overlap. Where lag times are known deliberate overlaps can be designed into the camera. If the aperture sizing time is known the digital sensor can be charging while aperture-metering calculations are done. At the same time the reflex mirror can begin lifting. Modern DSLRs are precise mechanisms. Cutting edge design has lead to big reductions in overall lag. This is despite the same actual steps in place. There are also various techniques to manually reduce overall lag times. Pre-focussing, focus locking; manual settings and ‘mirror lock up’ can all reduce the the overall lag time. Check your camera manual to see how these work. Another type of lag is involved in making an image. It does not play a part in creating an exposure. So, it is not a part of the lag time. It is called processing lag. Shutter lag is over when the shutter has closed. Data must also have been cleared from the sensor into a buffer. At that point the exposure is complete. Processing lag begins when the exposure is complete. There is a delay before the photo appears on the camera LCD screen. After the light data is collected some data processing occurs in the camera. Then the image is stored. Processing and storage creates the noticeable delay after the shutter closes. Processing lag is not a component of shutter delay or shutter lag for a single shot. But, if the shutter button is held down the processing lag may hold up the next exposure. So processing lag may effect multiple exposure lag times. This is normally reduced by passing data from each image to a buffer store. It is held there for processing after the multiple exposure is complete. Photographers will probably notice much longer processing lag times after a multiple exposure run. Some digital sensors may allow the data buffering or data processing direct from some sensor pixels prior to the end of the shutter cycle. This will depend on shutter timing, shutter design, exposure control, sensor type and processing methods. Advance data processing may help reduce processing lag between exposures allowing for a faster exposure rate. Send us a definition for our list of photographic words and phrases. 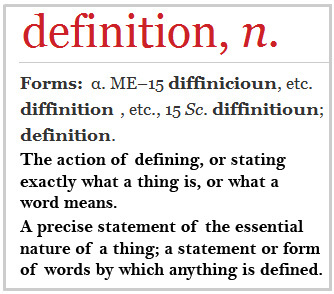 Simply write a clear definition and send it in. Include an original picture if you wish. Give us your name and a link to your website and we will credit your work. Write a definition for Photokonnexion….